This example shows how to design and analyze a controller for multiple plant models using Control System Designer. For a typical feedback problem, the controller, C, is designed to satisfy some performance objective. Due to manufacturing tolerances that are typically defined as a range about the nominal value. For example, resistors have a specified tolerance range, such as 5 ohms +/- 1%. Operating conditions. For example, aircraft dynamics change based on altitude and speed. When designing controllers for these types of systems, the performance objectives must be satisfied for all variations of the system. You can model such systems as a set of LTI models stored in an LTI array. You can then use Control System Designer to design a controller for a nominal plant from the array and analyze the controller design for the entire set of plants. 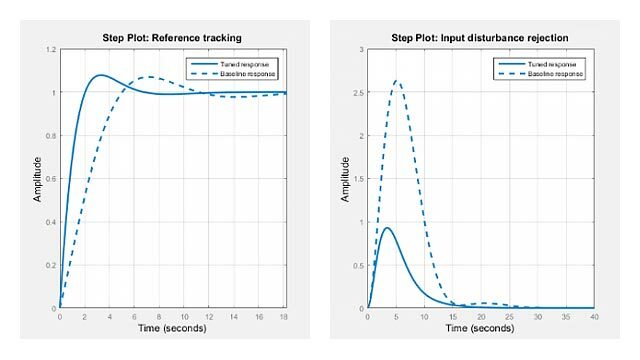 Example: Reference Tracking of DC Motor with Parameter Variations (Simulink Control Design). Construct an LTI array for the combinations of and . 9x1 array of transfer functions. Start the Control System Designer. 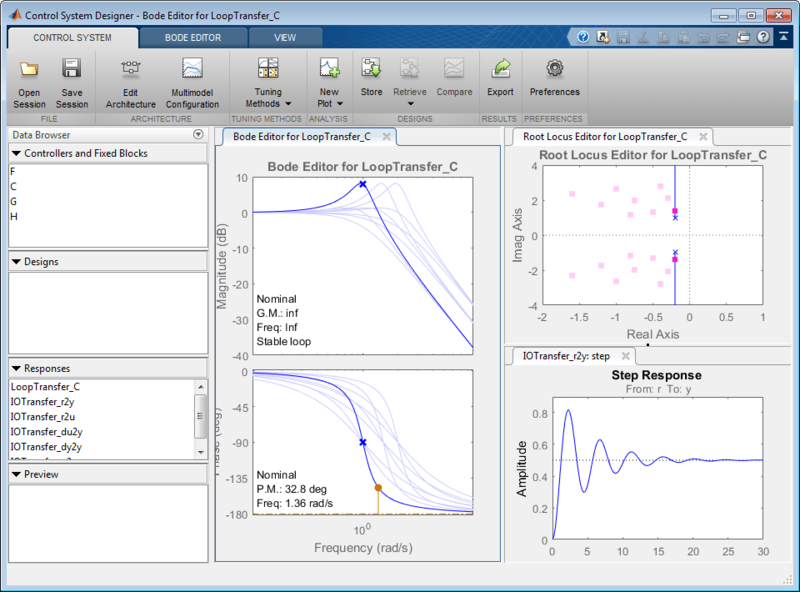 The app opens with Bode and root locus open-loop editors open along with a step response plot. By default, the nominal model used for design is the first element in the LTI array. 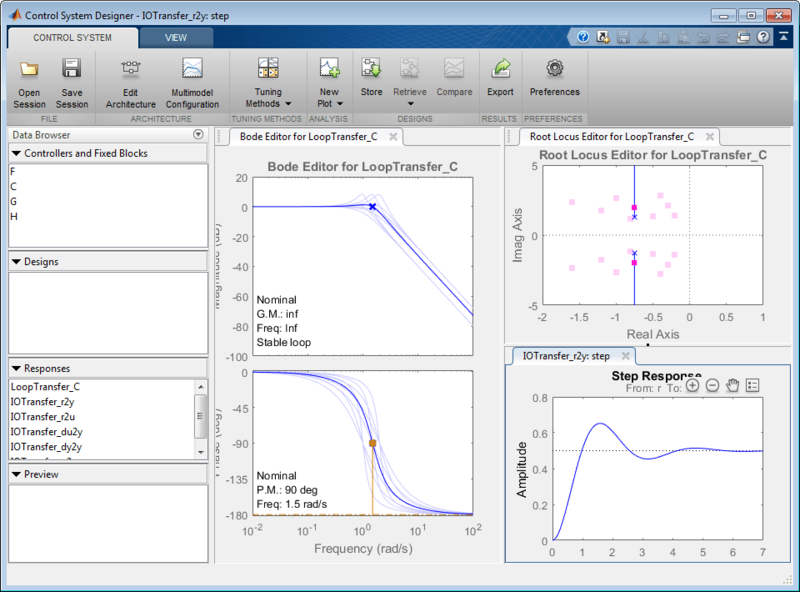 The root locus editor displays the root locus for the nominal model and the closed-loop pole locations associated with the set of plants. 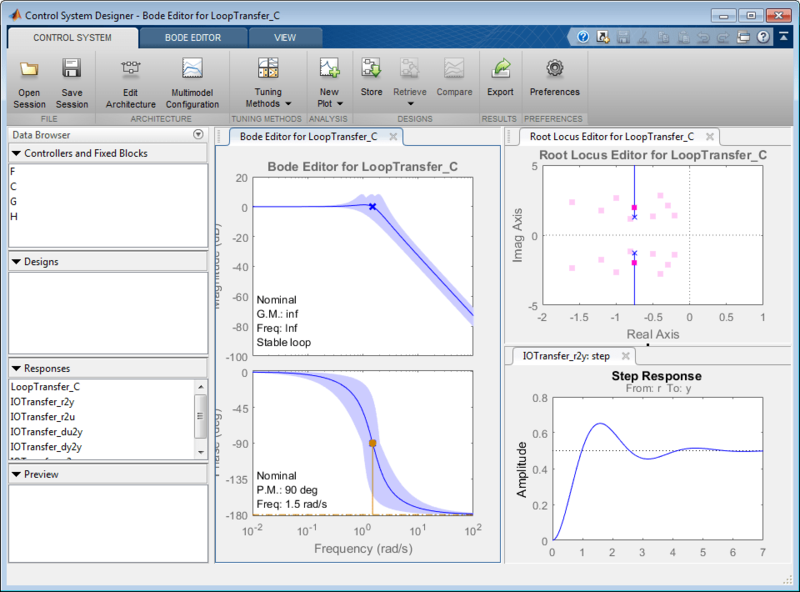 The Bode editor displays both the nominal model response and responses of the set of plants. Using these editors, you can interactively tune the gain, poles, and zeros of the compensator, while simultaneously visualizing the effect on the set of plants. To change the nominal model, in the app, click Multimodel Configuration. 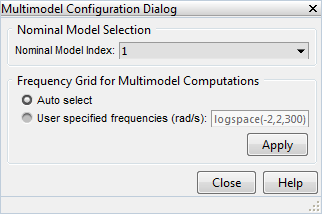 To select the fifth model in the array as the nominal model, in the Multimodel Configuration dialog box, set the Nominal Model Index to 5. The app response plots update automatically. Multimodel Display > Individual Responses to view the response for each model. Multimodel Display > Bounds to view an envelope that encapsulates all of the responses.